Marijuana has always been a drug surrounded by controversy. You do have to wonder, though, when did it first appear and how did this drug manage to become such an important part of people’s life? Let’s find that out right now! The first direct mention/reference to Marijuana and cannabis came from the Chinese Emperor named Shen Nung. The reference is dated at around 2373 BC, and here you can find a mention of the medical benefits that Marijuana can bring to the table. More specifically, Nung talked about gout, rheumatism and absent-mindedness benefits of Marijuana. Nung mentioned about the potential intoxicating properties, but he mostly focused on the medical value of marijuana. At that time, many people from India were also using Marijuana in a recreational manner. Centuries later, Muslims started to use it as well, mostly for recreational use and alongside alcohol. However, the Koran banned this, and it was the ban that brought in front the creation of Hashish. This became very popular in many regions all over the world, starting with North Africa and Persia during the 12th century. It was in 1545 when the Spanish brought Marijuana to the Americas. Soon after that, more specifically in 1611, the English started trading Marijuana in Jamestown alongside other merchandise such as tobacco. Things started to evolve very fast, and the US states, as well as many other countries from North and South America, used this as a major cash crop. Marijuana trading was very important here, especially since this compound had numerous medical properties. 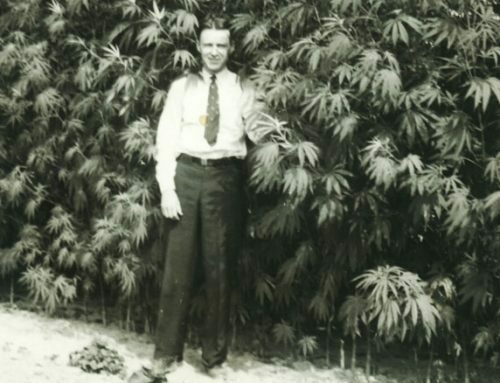 It wasn’t until the 1920s until marijuana managed to fully catch on as a drug. Many historians state that it was the prohibition which introduced Marijuana to the people. At first, only people in show business started using marijuana. Tea pads or marijuana clubs began to emerge in many regions all over the US. The interesting thing is that the authorities tolerated these clubs mostly because of their unique nature and that did bring in front a great set of features, to begin with. As we mentioned earlier, the first uses of Marijuana were for medical use, but people started very soon to use if mostly for entertainment and recreation. During the 50s and more specifically during the 60s it started to become a symbol of rebellion. In 1970, the US released a Controlled Substances Act that began to define Marijuana as a drug similar to heroin. It thus appeared to be one of the most dangerous substances out there. The Reagan and Bush administrations started to create mandatory, strict laws that focused on stopping Marijuana smugglers and unapproved use. Nowadays, Marijuana is still illegal in many countries all over the world. However, Marijuana legalization laws have started to bring back this compound either for recreational or medical use. One thing is certain; Marijuana will always be a part of our society in one way or another, and we can expect it to be fully legalized in a few decades!